Picasso tearing up the baseball field. 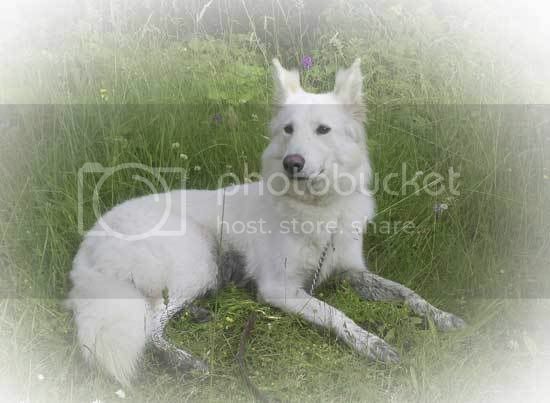 Please refrain from putting silly non-pet photos in this thread unless accompanied by a collar. but i don't have a pet it's not fair!!!! well..i want a dog like this in the future..
My Girls On the right is Misty. 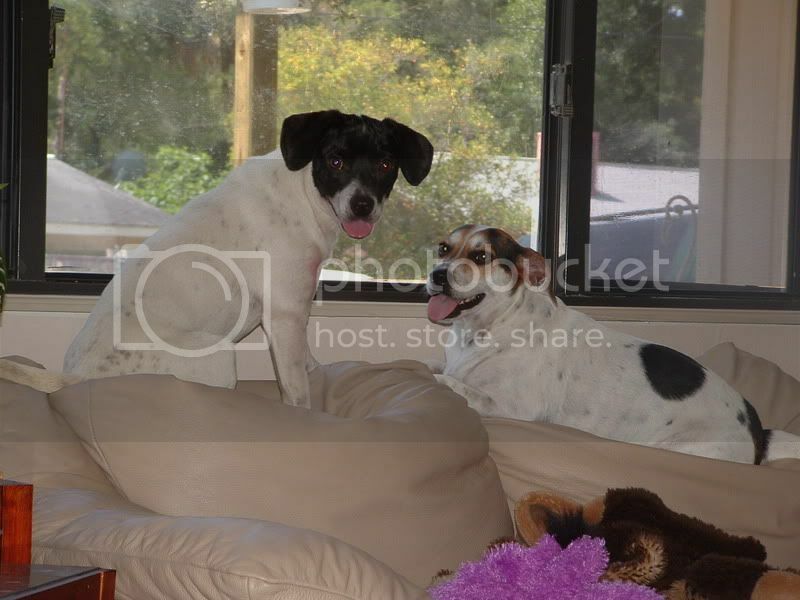 3yr old Beagle/Jack Russell mix and on the left is Teri a 1yr old Jack Russell/Beagle mix. Misty is the loving, laid back Beagle type where Teri is the leaping frisbie chasing Jack type. Being self emplyed with an office at home, I get to spend alot of time with them. My two cats, Bones up top and Tom Tom on the bottom. Have a pair of cockatiels and a fish tank too. The Best Damn Kitty in the World: Monet! awww....must be nap time in the tadams household. If you're not on a Mac, you're wasting your time..